Last week, there was a lot of media-hype here in India about a certain type of so-called sporting event. It had to do with a young boy named Budhia Singh of Orissa, age four, yes, four years only. And what was it that Budhia do that attracted so much attention? He walked non-stop for seven hours, in hot blazing sun – in May, the sun can be damn hot in India – covering a distance of sixty-five kilometres. Budhia walked from the sacred town Puri to Bhuvaneshwar, the State Capital. Why on earth did Budhia do such a thing, instead of staying home, playing or watching TV or whatever? Because his father wanted his young son to become famous and have his name entered in the book of records. The foolish father was egged on by many, including a coach and a local establishment that compiles records – they and many others, obligingly supported the marathon walk. For the Media of course this was a welcome break, a ‘great’ human interest story, and a chance to lay off, at least for some time, from the seedy and sleazy news they usually keep themselves busy with. Oh yes, there were some rumblings from about half a dozen ‘human right activists,’ but on the whole, the Media and a good section of the public seemed to have enjoyed the ‘show’. To be up to date, we must mention that the National Human Rights Commission has just started enquiring into the whole affair. A panel of doctors have examined the child and expressed grave concern. They say young Budhia is undernourished, he is showing signs of stress, he may develop early rheumatism and also suffer renal failure. Let us stand back and reflect on the whole affair. Did the boy gain anything? Absolutely not, except extreme exhaustion – what else can one expect when a small kid, a mere four years old, is made to walk non-stop for seven hours, a distance of 65 km, and that too in the hot sun? And you know what? We see from the photo that appeared in the newspaper showing Budhia approaching Bhuvaneshwar, that the child was not even wearing a cap! Did the father gain anything? Perhaps he thought he did, but we wonder! The reason we mention all this is to focus on the rapid diminishing of human sensitivity. We do not wish to imply that sensitivity has altogether vanished from the human race; no, it has not. We just have to recall what happened at the time of the Tsunami, for example. Millions came forward to help, as also various social organisations and Governments. Mercifully, great calamities still produce a touching response in terms of aid and support. By God’s Grace, the spirit of the Good Samaritan is still alive, to a substantial extent. However, when it comes to so-called ‘routine and normal’ daily life, sensitivity often seems to take a back seat. Why is this so, and is it desirable? That is the question we now wish to consider. Few realise that sensitivity has everything to do with God and Divine feelings. We often use the word compassion. Do we realise that if a person is insensitive, that person cannot feel compassion? Here it is necessary to refer to an incident, hardly known, that happened during the last days of October 2000. One afternoon, Sathya Sai Baba suddenly called all the teachers into the Bhajan Hall of the Mandir and started speaking to them. He said that he had recently read in the newspaper that a woman, unable to bear poverty and the fact that she could not feed her children, threw them all into a well and then committed suicide. When Swami was referring to this incident, His voice became chocked and He almost broke down. This was a totally new experience for many of those present, although they had been with Swami for years and years. For them it raised many questions like: ‘Swami often talks to us about equanimity, and yet here He is, breaking down! What does that mean’? Let us examine this question a bit. Yes, God in human form HAS taught that man should treat pleasure and pain with composure, equanimity, etc., and remain unaffected by them. And yet here was God in human form, appearing to break down as ordinary mortals do. Was He not contradicting His own teachings? Superficially, it might seem so but let us consider another of His teachings ‘My Life is My Message’! 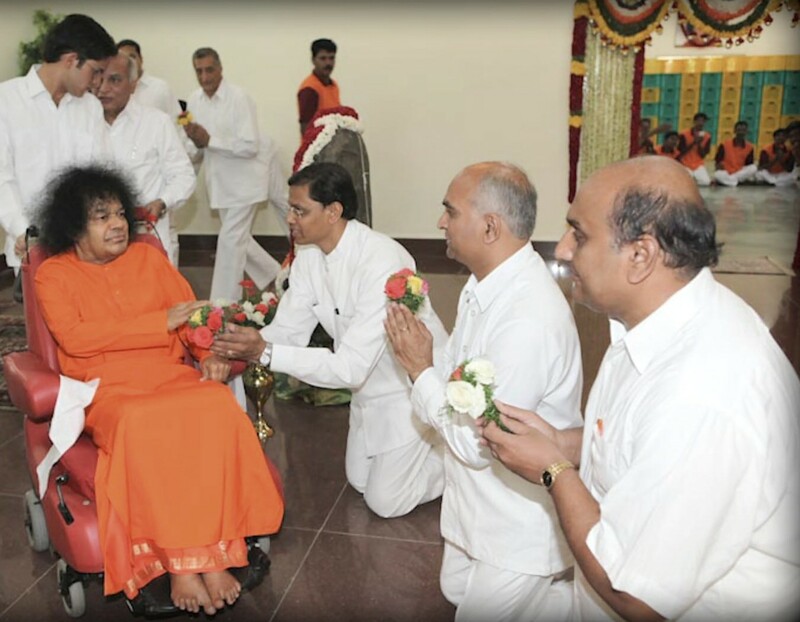 So what’s the Message Sathya Sai Baba was giving on this occasion? He was saying effectively, ‘O man, is you Heart soft like butter and does it melt when you encounter suffering either by directly witnessing it or by hearing’. Or is your Heart hard like stone? Can you call yourself a human and let others cry in anguish? Is it not your duty to go to the help of people in distress? Was that not the lesson that Jesus taught through the famous parable of the Good Samaritan? 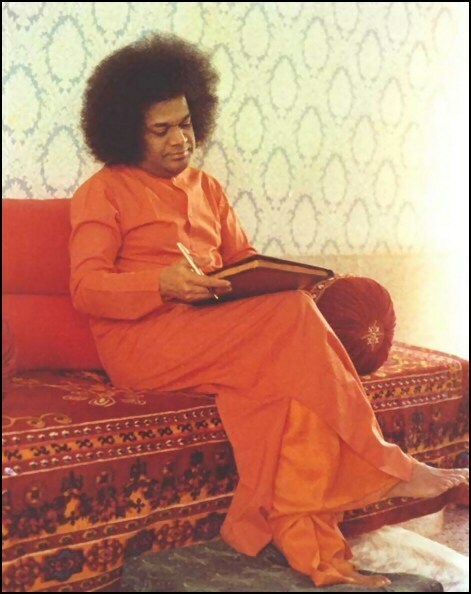 On another occasion, Sri Sathya Sai Baba said: ‘If you do not feel the call of service at the sight of human distress, disease or injustice, how can you muster the determination and dedication needed to serve the Unseen, Inscrutable, and Mysterious God’? If we take all these things together, then the message is loud and clear. We cannot claim to truly love God, if we fail to see Him in all living beings, and that includes of course fellow human beings. If we see God in others, especially those who are in distress, then we would not remain quiet; we would try and do at least something to relieve their pain. That really is what sensitivity is all about. The question arises: ‘Why on earth are so many of us so insensitive’? Well, if you want the answer in a nutshell, it is our intense preoccupation with ourselves, our ambitions, our greed, our family, our this and our that. We do concede that some amount of attachment is inevitable for humans, but an excess of it. Sensitivity is not always all about poverty, misery etc; there are many dimensions to it. Sensitivity also concerns how we relate to blind and handicapped people, how unwilling we are to hurt other people, how worried we are about exploitation and cruelty, not only to humans but indeed to all living beings; the list is long. When we look at the issue in a broader perspective, we find that both individuals and the societies they live in are constantly torn between two opposite forces. One force evokes goodness from within, while the other force urges indifference and indeed even selfishness. Thus, no one individual is completely heartless or totally selfish; the same applies to communities, nations and societies. The issue before us is: ‘On the average, what is the current index of sensitivity? Does it portend good for the future or bad?’ Different people would naturally have different perceptions, and we would like to place before you, our view of things. If you take a crowded country like India, generally speaking, we tend to be quite indifferent to many of the problems that the underprivileged experience. For example, we do not seem to be bothered too much about the difficulties blind people face. In fact, some years ago, there was a most disgraceful incident when, during a rally of blind people in a big city, the rally was called to highlight many of the problems the blind face and the police carried out a lathi charge or a baton charge as they would say in the West. Imagine that! Police beating blind people, who had come out to highlight their problems and to protest!! One can go on and on, but to be fair, it must be said that there are many, many concerned people also. For example, some years ago, there was the heart-warming story of a person who was working with spastic children, in Bangalore we believe. All these children were confined to the wheel chair. Yet, in spite of that handicap, they were motivated by this man to stage a play, the Ramayana; and the wonder of it was, that the man who produced the play was a Muslim. There are many such public-spirited people in this country who are quite vigorous in championing the cause of the slum dweller, tribals displaced by the construction of huge dams, and so on. But at the end of the day, what matters most is what the average person feels, and how sensitive the societies in which the person lives are. In Japan, for example, the roads and even railway stations are so well laid out that blind and handicapped people can move fairly easily on sidewalks, get into trains etc., without anybody’s help. In America, there are any number of social groups that concern themselves very seriously with problems of suicide, alcoholism, drug addiction, depression, obesity etc., and go all out to help such people. Not only that; they are very pro-active in highlighting the issues involved and eliciting strong public support. And when there is strong public support, the government of the day has to respond by enacting laws that help handicapped and other people in substantial ways. Thus, if we are talking about the ‘average index of sensitivity’ in a community, it depends to a large extent on what the ordinary people feel about matters that ought to be of concern. By and large, it would seem that in the ‘advanced countries,’ there is greater social awareness about social problems and issues. In turn this is reflected in the way those societies deal with such matters. OK, all this is fine; but what has it got to do with Sathya SaiBaba, His teachings etc? That is what we would like to consider next. There are two things we would like to mention as a preliminary. First is the line from the Gita that Swami often quotes. In that quote, Krishna says, “My Divinity pervades all and everything, and an aspect of My Divinity is to be found in all living beings.” In practical terms, it means that Swami is in all. Next, Swami says that recognising this immanent and latent Divinity within us, each of us must see the world and deal with it, being fully conscious of the Omnipresence of God. Let us examine what this means. Let us start with a simple matter like greetings. When we greet a person, do we recall what Swami has said about it? He says, if you offer respect to a person, you are actually offering obeisance to the God within. Do we ever bother to recall that? If we did, we would never dare to abuse another person or speak rudely. For Swami has said that every abuse hurled at another ‘person/body’ ends up reaching God. Do we want to do that? So the first lesson is that when relating to ‘others’, be it through feelings, thoughts, word or action, we must always remember that the ultimate destination of all these is really the Omnipresent God. In other words, we must constantly feel that we are always dealing with God, though in worldly terms we might be dealing with Mr. X or Ms. Y. Once one is saturated with this feeling always, many things would instantly change, often without anybody spending one cent. Just to highlight how important this matter is, let us take the issue of prisoners. Every country has laws and those who violate laws are thrown into prison. People seem to imagine that having laws, police, courts, and prisons, takes care of the problem of law and order. Does it? Active work by socially-conscious people has shown that it does not . In Britain, for example, an expert Committee was alarmed to find that a huge number of young people get imprisoned under the present system. In the prison, these juveniles are often forced to live along with hardened criminals, and that changes their entire outlook. Thus, when they come out, they soon join the category of hardened criminals. The Committee asked: Is this good? Can we afford to make hardened criminals of young people? Should not Society do something to use the prison term to steer these young people so that when they come out, they live as good citizens and contribute to Society? Even from a monetary point of view, which is better for Society? To have more criminals and therefore more jails, security systems, etc., or better citizens? What we have mentioned is but the tip of the iceberg. In today’s complex Society, there are millions of problems. However, if we think carefully, almost every one of them can be solved through Love, Compassion and Sensitivity. That is what Swami is telling us all the time, but are we listening? That is the question we want to leave you with this Sunday! See you again next week. Till then, may Swami be with you and take care of you every single second. 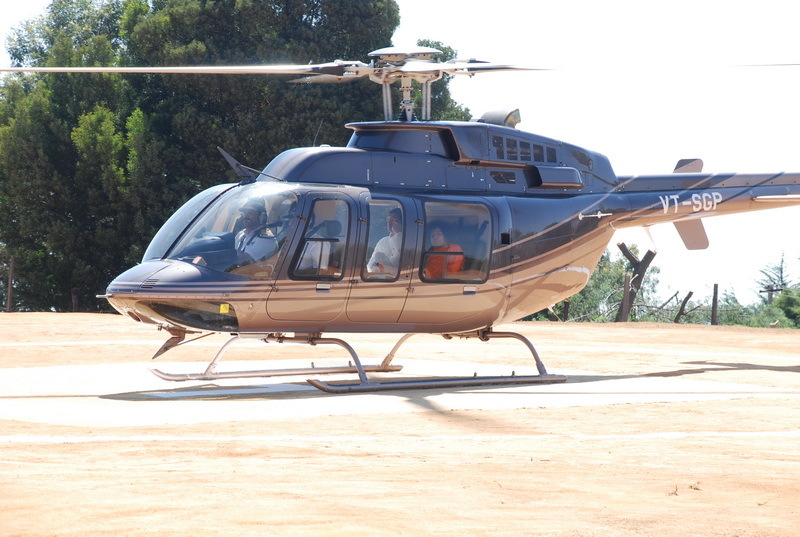 Bhagawan Sri Sathya Sai Baba came to the scenic Sai Shruti Darshan grounds at 10.00 a.m. in Kodaikanal. 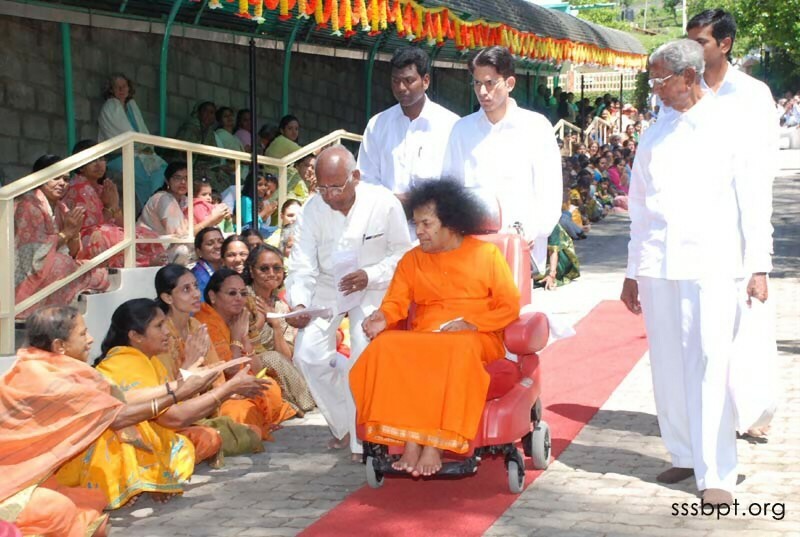 In all His compassion, Bhagawan went round the grounds and even down the slopes to bless the devotees. 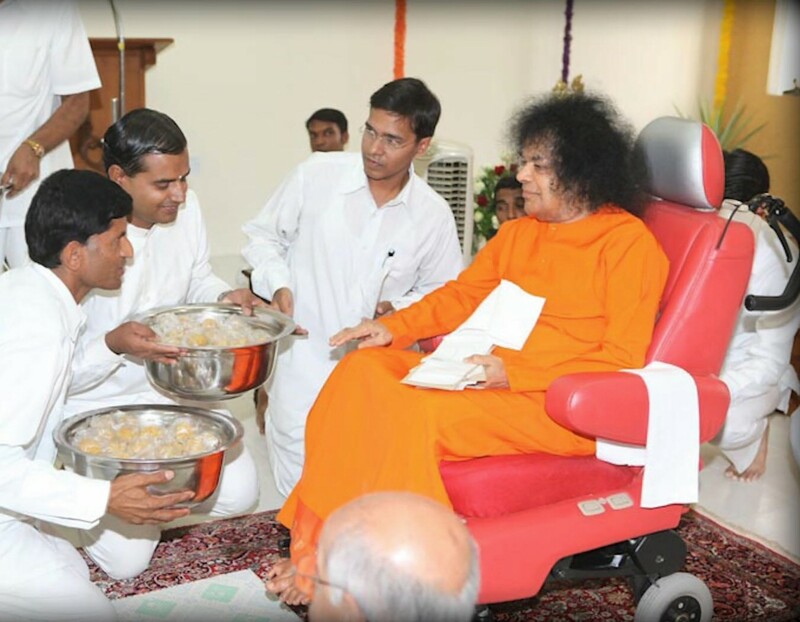 At the end, Bhagawan was offered flower and Aarati and the devotees received Prasadam blessed by Swami. There is only one Purusha and that Purusha is God. Do not create differences. Remember that all are divine. Any work should be done as Nishkama Karma (work done without the feeling of selfishness). Reduce selfishness and try to help others, seeing God in everyone. There is no duality. God is one. From today, get rid of the feeling of duality. Bhagawan also dwelt on Adi Sankara’s philosophy of Advaita substantiating it with many examples. Bhagawan concluded His Discourse at 7.30 p.m.
Sri V. Srinivasan, All India President, Sri Sathya Sai Seva Organisations then introduced the Burra Katha (folk art form with dialogues and music) artistes – students of Sri Sathya Sai University. Bhagawan honoured them with shawls. These students had taken everyone to sublime heights by presenting vividly the lives of Bhagawan Sri Sathya Sai Baba, Shirdi Sai Baba and Mother Easwaramma. 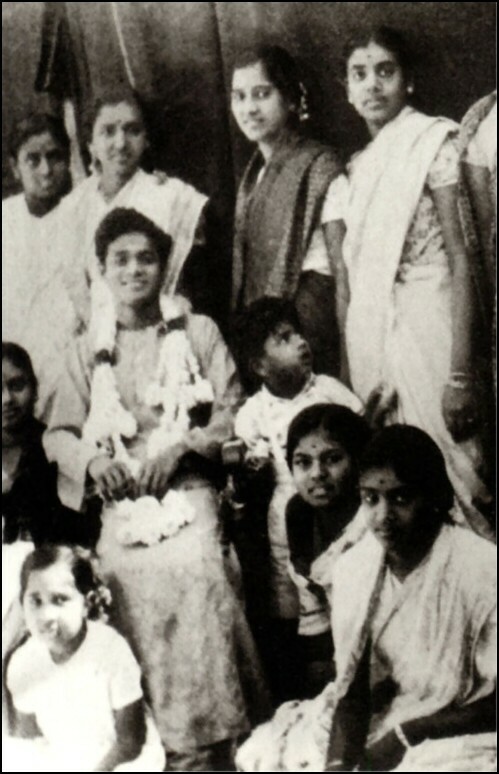 Bhagawan showered His motherly affection on the three of them calling them His children and went amidst them to be photographed. Sri Srinivasan opined that Sai students excel in every field and exhibit multiple skills. The three of them then sang a song on Bhagawan which described Bhagawan as the mother, father, preceptor, friend, philosopher and guide, all rolled into one. 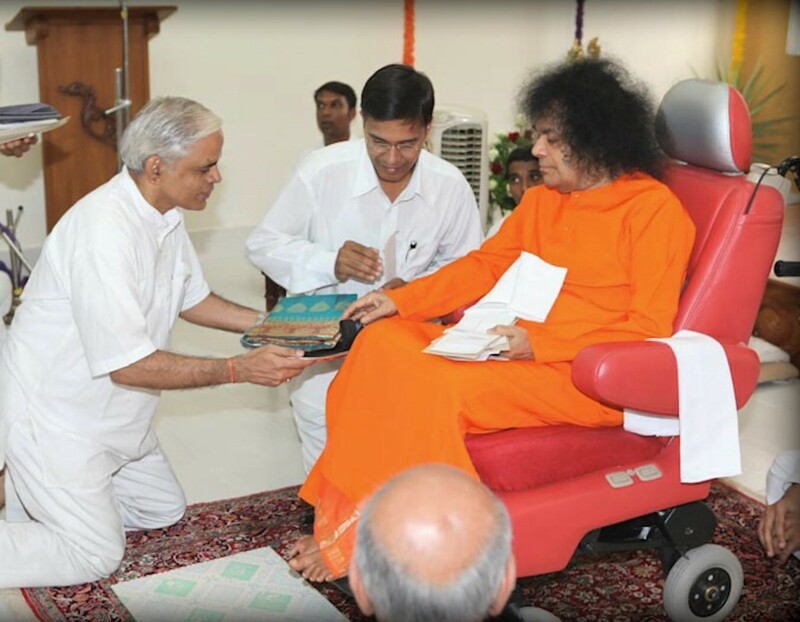 While Sathya Sai Baba was being offered Aarati, He asked the three of them also to offer Aarati to Him. There ended the evening of 29th April 2009 immersing everyone in the ocean of Ananda (bliss). RECOGNISING WOMEN’S CENTRAL role in society, the Easwaramma. Women’s Welfare Project-seeks to help in the development of women in a holistic manner by understanding and supporting the different roles which they play in life, be it daughter, mother or breadwinner. It is a well-known saying, “Give a man bread and you feed him for a day, teach him to farm, and you feed him for life.” Along these lines, we felt our sisters in the villages would be better served by the acquisition of skills; the goal being self-support and independence. Powered by the idea of sustainable development, this philosophy motivated the adoption of a Welfare Project to first address the need for a woman’s financial security. Before the Project launch, a survey was conducted in the surrounding villages, identifying the most deprived and impoverished women in the area. Their economic condition and whether they had some basic or no skills were all points taken into consideration before selection for the Project. On 19th November 2004, on Ladies Day, Bhagavan Sri Sathya Sai Baba officially inaugurated the Easwaramma Women’s Welfare Project by unveiling a plaque. On 19th July 2005, the Project facility for these women was graciously inaugurated by Bhagavan Sri Satya SaiBaba within Prasanthi Nilayam. The Project is already producing a large number of products and has started marketing them initially through local outlets in the Ashram. The proceeds of the sales will be spent on remuneration for the women and will also go towards charitable projects in the villages. Once the products are identified, trainers are engaged to teach the women how to make these items. When they are proficient at their tasks, one or two women in the group are trained to interact with suppliers and customers. In addition to providing women with a skill that is a lifelong source of income, this Project will also have socially beneficial effects. As an income earner, a woman’s self- esteem and her respect in society increases. 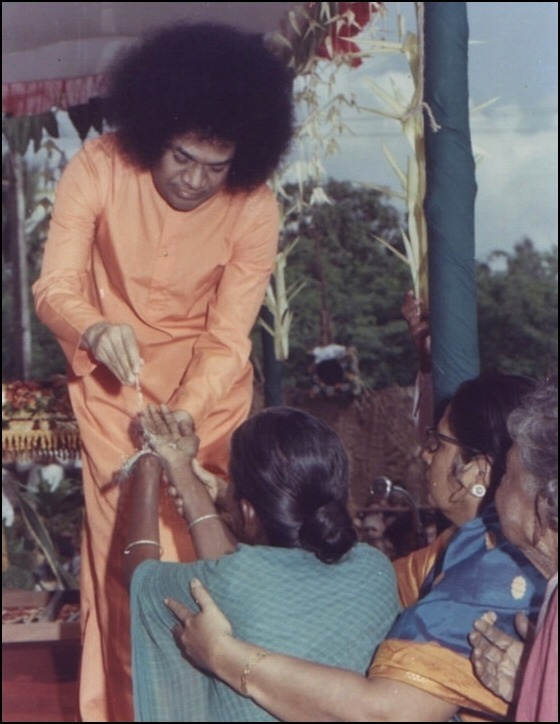 Speaking on women, Sathya Sai Baba has said, “All women should be provided with opportunities to become self-reliant”. The Project seeks to translate this into reality. A major step was taken to expand and organise the work of Easwaramma Women’s Project when Bhagavan graciously established Easwaramma Women’s Welfare Trust on 18th February 2005. Recently, another dimension has been added to the Easwaramma Women’s Welfare Project by initiating Mother and Child Project. This project was started after conducting thorough research at grass root level by visiting a large number of villages as well as by assessing the needs of expecting mothers from Sri Sathya Sai General Hospital, Puttaparthi. As a result of this, two requirements have been recognised as vital. One is for maternal and infant care, which has given rise to the Mother and Child Project. 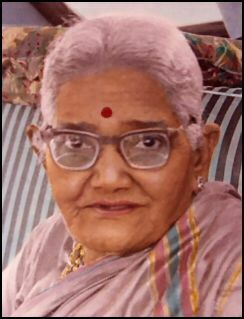 The central role that the mother plays as “the Guru of the children … and the upholder of spiritual values” has been emphasised by Swami many a time. Recognising the importance of her health and well-being for society, the Mother and Child Project strives to support her during this crucial stage in her life. Visits to the General Hospital, Puttaparthi showed that the general health condition of some of the pregnant women coming in for care is a cause for concern. Many come in for deliveries with extremely low haemoglobin levels, far below the international recommended level for delivery. Lack of proper nutrition is one of the main causes for this deficiency. They often come to the hospital at a very late stage, which significantly increases the chances of complications. Regrettably, some are unable to come because of the considerable journeying distance and / or monetary constraints. Therefore, the Mother and Child Project aims to provide medical care for pregnant mothers and infants in the villages. Bhagavan, in His infinite grace, has provided a fully-equipped ambulance which can be utilised for on-the-spot medical treatment. The two objectives of the Project, medical and educational, are pursued side by side. The medical care is dispensed in a regular manner, over a significant period of time, in keeping with the Project’s goal of sustainability. The voluntary team of doctors, nurses and Seva Dal members visit each village throughout the year. Records of all mothers and children are maintained systematically so that their health condition can be monitored on a continuous, long-term basis. These records prove to be invaluable resource for the next team of doctors to assess the follow-up care. Each mother-to-be receives a Sari and a special kit for mother and baby as a token of Bhagavan’s love and blessings. The kit provides the mothers with important supplements such as iron and folic acid. High protein nutritional supplements are also distributed regularly. As for the delivery itself, only emergencies are advised to go to the hospital. The traditional practice of home-deliveries with the central role of Dhais (midwives) is encouraged and made increasingly hygienic with the training of these Dhais and the supply of sterilised kits that assist in safe deliveries. Once the baby is born, it is welcomed into the world with a fresh set of clothes, regular health check-ups and full immunisation. Immunisation is done for major locally-prevalent diseases including polio, measles, mumps, hepatitis-B and tuberculosis. Nutritional supplements are also regularly given to the infants. In conjunction with the treatment, the doctors conduct educational talks for mothers. Advice is given on a variety of practical matters, i.e., available good foods for pregnancy, post-natal and infant care, and handling of emergency cases. We envisage a world where women have equal privileges in every sphere of life, a world in which women have opportunities to support themselves, a world in which they are self-reliant and not dependent on others. We believe that Easwaramma Women’s Welfare Project is a step in this noble direction. One of the Mission statements of Bhagavan Baba is: “I am attached to the work that I love: To remove the sufferings of the poor and grant them what they lack”. We pray that we all become humble instruments in His Divine Mission! Sathya Sai Baba: Self-imposed discipline is conducive to real Shanti, peace of mind, poise, equanimity and the stable equilibrium of the mind. Peace of mind is the most desirable thing in the whole world. It gives us physical and psychical euphoria. In order to achieve this peace, an aspirant must develop a thirst for spiritual wisdom. He must acquire the qualities of love, sympathy and compassion, and do selfless service to others. Shanti (peace) should not be regarded as a part-time virtue to be cultivated only during meditation. It is a constant state of inner tranquillity. It should become habitual and instinctive.